Yes, it’s time for everybody to choose sides. I support Barack Obama for president, because his positions on mental health care and the pharmaceutical industry make the most sense for the American people. The National Alliance for the Mentally Ill (NAMI) sent questionnaires to the candidates about their views on mental health issues. You can view the responses of both Obama and McCain on the NAMI website. What is most striking immediately is that only Obama bothered to answer the questionnaire, providing specific responses to each of 24 questions crucial to mental health care in America. Who can argue against personal responsibility? Unfortunately, treating mental illness is a wee bit more complicated than telling patients to "just say no." --Strongly supporting mental health parity legislation. While both Obama and McCain voted for the federal Mental Health Parity Act, only Obama co-sponsored the legislation. In addition, he actively supported mental health parity in Illinois as a state senator. --Calling for mental health screening of veterans to treat PTSD and prevent suicide, two growing problems among vets. Ironically for a war hero, McCain has voted repeatedly against increased funding for veteran’s outpatient services, and specifically voted against a provision that would have allocated $500 million for VA mental health services. While McCain has the reputation of being “tough” on drug companies (see this pharma marketing network forum), in reality, Obama supports proposals that would more substantially bring the costs of drugs down. Both candidates support allowing re-importation of medications from Canada, and both support eliminating loopholes in generic drug law that allow companies to pay generic manufacturers to delay the release of cheaper drugs by 6 months. But only Obama wants to allow Medicare to negotiate drug prices with companies, which was the crucial element missing from Medicate Part D. McCain has taken no position on this issue. 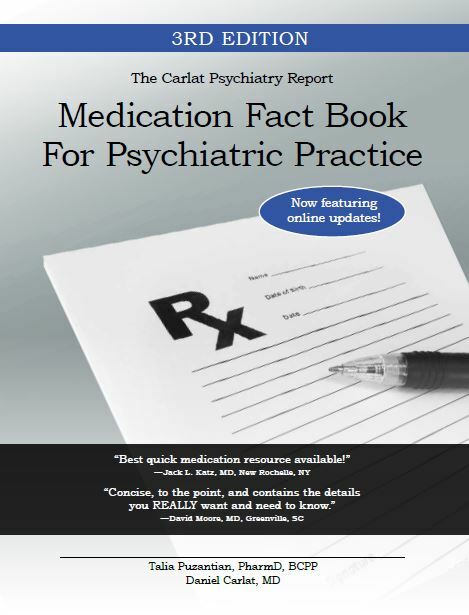 To summarize, Barack Obama has demonstrated greater leadership on measures ensuring that psychiatric patients receive the care they deserve, and will fight to decrease the inflated costs of prescription medications. The open access medical journal PLOS Medicine just published this fascinating article detailing how drug companies promote off-label uses of drugs. Co-authored by Georgetown University's Adriane Fugh-Berman, M.D., and by Douglas Melnick, M.D., a former medical liaison for a major drug company (see his YouTube interview here), this article is notable because it provides insider information about the nasty little marketing techniques used to promote off-label indications. In general, I am not against off-label uses of drugs. In psychiatry, many, if not most patients are taking something off-label, such as an SSRI for an unapproved indication or trazodone for insomnia. However, off-label uses should be promoted and discussed by physicians unaffiliated with drug companies. We don't need drug companies, drug reps, or industry-funded hired guns to educate us about off-label uses, because legitimate uses are published in peer-reviewed journals, which generate a buzz among physicians and a gradual rise in evidence-based off-label prescribing. We've seen many cases in which drugs, such as Neurontin, have been promoted by companies for unapproved conditions based on anecdotal data, only to find that they were completely ineffective once controlled data were published. --The "decoy indication." "In development, drugs may be promising for several uses, and companies must choose one or two conditions on which to focus research. Ease of approval is the most important factor in this decision. If extensive off-label use is anticipated, a company may seek approval for just a narrow indication in order to speed a drug to market. In other words, a drug may be approved for this very narrow "decoy indication" while an extensive off-label campaign is not disclosed to drug regulators." --Use of Key Opinion Leaders to skirt regulations. "Nationally known, influential academic physicians help “word-of-mouth” or “buzz” marketing. These “thought leaders” or “key opinion leaders” (KOLs) support labeled marketing efforts as well, but they are considered crucial for the promotion of off-label uses. Industry-paid KOLs are never company employees. Rendering purportedly independent opinions, via articles and lectures, KOLs are able to elude laws against off-label promotion." There are many more interesting tidbits in this article--but I'll stop here, because I don't want to spoil your fun! Last week’s announcement by the Wisconsin Medical Society that they are asking their 12,000 physician members to end marketing relationships with drug companies is part of a tidal wave of reform sweeping in a new era of what I call post-deception medicine. Physicians shall accept no gifts from any provider of products that they prescribe to their patients such as personal items, office supplies, food, travel and time costs, or payment for participation in online CME. A complete ban eases the burdens of compliance, biased decision making, and patient distrust. In their press release, they elaborated that their policy will follow the guidelines in the influential JAMA article published in 2006 which outlined policies for minimizing financial conflicts of interest in academic medical centers. Subsequently, the American Association of Medical Colleges formally endorsed these proposals, and a slew of medical centers have followed suit. Steven Bergin, MD, an obstetrician/gynecologist who is the president of the Society, had some powerful things to say about the new policy. As pressure builds in the various medical specialties to implement gift bans, many physicians have resisted, the most common argument being that physicians are too ethical and smart to allow small gifts to influence their decisions, despite a body of research pointing to many examples in which prescribing behavior is, indeed affected by gifts. WSJ: What’s the point in banning gifts such as pens, whose value is trivial? Dr. Bergin: There are certain people who would say a small gift wouldn’t affect someone’s judgment. But then again, maybe it would. And if there is no gift, there can be no question about it. And that really is the point, isn’t it? Doctors make enough money to afford their own pens, books, and CME. As patients, we can all rest easier knowing that there is no possibility of commercial influence in their decision making. While this policy allows industry to indirectly fund CME, it would forbid the vast majority of commercially funded activities, in which companies support a specific course focusing on a topic area in which they sell a product. Instead, they would have to agree to donate educational funds into a pool of money, and the CME director would have sole discretion over how the money is used. While I would prefer to keep accredited CME completely pure, and allow drug companies to provide product information in the context of promotional events only, I could certainly live with a pooled arrangement. The problem is that I don’t think drug companies will accept it, precisely because it provides a much more effective firewall between educational grants and promotion. While drug companies are enamored with the phrase “unrestricted educational grant” as a way of pretending that CME is not promotional, when grants become genuinely unrestricted, the companies balk. Why? Because they want to make sure that the CME they support will benefit their products. Advocates of industry-CME, such as the blog Policy and Medicine, scoff at these pooled funding arrangements, calling them “blank checks” and “charity.” To be consistent, they should also point out that the word “unrestricted” when used with “educational grants” is a deception. Kudos to Wisconsin. Which medical society will be the next to do the right thing? Let's hope it's the AMA. In 2004, Dr. Steven Reidbord, who was at that time the medical director of the mental health clinic at California Pacific Medical Center, had a Wyeth coming-of-age experience (read about my own adventures here). As he details in his interesting new blog, Dr. Reidbord was approached by his own hospital's Community Health Resource Center to give a talk to the public about depression. This was part of an event called "GOAL" (Go on and Live! ), and would feature Delta Burke, an actress best known for a role on the TV show "Designing Women." 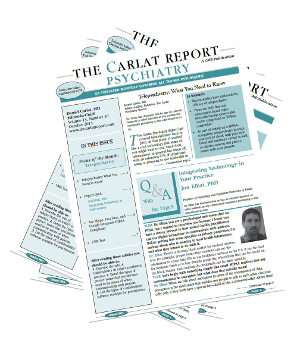 Dr. Reidbord, assuming that this was a community initiative and not a drug company-sponsored event, initially agreed to give the talk, but when he received the flyer advertising the program, he noticed a phrase that sounded suspiciously Wyeth-crafted: "... it is possible to virtually eliminate the emotional and physical symptoms of depression and go on and live." Recall that the Effexor XR campaign emphasized remission as the goal of treatment, because their studies found that the drug slightly outperformed SSRIs only when remission was used as the outcome statistic. Dr. Reidbord investigated the event further, and found that it had been organized by a public relations firm, Porter Novelli, and that the website created to promote the event was copyrighted (surpise, surprise) by Wyeth. I won't steal anymore of Dr. Reidbord's thunder, but I will give you the sneak preview that this story also involves that Zelig of industry-funded research, Charles Nemeroff. Congratulations on a great new blog, Dr. Reidbord, and welcome to the Wyeth Refugee Club! I realize this headline sounds farcical, like something you'd read in the Onion (“Bush Calls for Panic”) but in fact it was on the first page of the October newsletter from the Alliance for CME, a CME trade group. Yes, the MECC industry has finally admitted that the difference between industry-funded CME and drug promotion is very difficult to puzzle out. So, in concert with Pfizer and Audio Digest, they are creating a 45 minute internet course to teach hired guns how to thread this perplexing needle. According to the article: “Medical education faculty who complete the 45 minute online activity will have their names added to the National Faculty Education Initiative verification database.” That’s a sentence-full. Basically, take the course and you get to advertise yourself to MECCs looking to hire speakers to promote their clients’ drugs. Did I say "promote"? I meant educate about their sponsors' drugs. Wait—what I really meant was educate about a topic area in which the sponsor has a commercial interest. Oh darn, I’m still confusing CME with promotion. Obviously, I need that course. But given this most recent educational initiative, I think that NAAMECC owes Arlene Weintraub, the article’s writer, an apology. If the faculty who specialize in teaching CME need a custom-designed course to divine how industry CME is not promotion, it’s hardly fair to rake a journalist over the coals for having "confused" the two. Deception has, unfortunately, become the standard operating procedure in the world of continuing medical education. Charles Nemeroff and his band of Merry Men—all of whom made millions promoting drugs in the guise of medical education—are the tip of the iceberg. 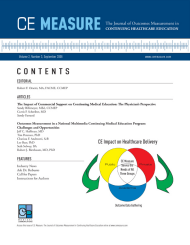 In the latest assault on the public’s trust, we have a new journal, CE Measure. The journal bills itself as “the first peer-reviewed journal dedicated specifically to the art and science of healthcare educational outcomes measurement.” Sounds promising. But who were these physicians, and how were they selected? The one paragraph describing the study’s methodology says only that these physicians took CME courses in 2006 and 2007. We are not told what kinds of courses. Were they industry-sponsored? Were they live conferences, web-based programs, or articles? Were meals provided? What was their subject? What were the specialties of the participants? A majority of doctors did not respond to the survey—how did they differ from those who did respond? These are all basic questions required to interpret the results of the study, yet the authors do not even mention these issues. In all peer-reviewed scientific papers, editors require a discussion of the limitations of the research. Especially in the political football of CME research, such a discussion is crucial. For example, past surveys have shown that when doctors are asked for their opinions about commercial funding, those who are surveyed after attending an unsponsored course are against industry CME, while those surveyed after an industry-sponsored course support industry funding (Mueller, P. S., Hook, C. C., & Litin, S. C. (2007). Physician preferences and attitudes regarding industry support of CME programs. The American Journal of Medicine, 120(3), 281-285.) This is intuitive: if you give doctors the gift of a meal and a day of free education, then you ask them if they would they would like to receive such gifts in the future, they are likely to say “yes.” And if you decide to include only these doctors in your survey, you will probably receive an overwhelming response in support of industry-sponsored CME. But this possibility is never broached in the discussion. The authors apparently felt that an objective scientific discussion was less important than publishing the verbatim comments of some of the physicians surveyed. In a section entitled “In Their Own Words”, the authors reproduced several mini-rants from doctors who are outraged at the notion that they might have to pay for their own education. This physician apparently confuses industry-sponsored CME with drug ads—and who can blame him or her? 2. The publisher is listed as “Carden Jennings Publishing (CJP).” Their medical publishing division specializes in industry-funded CME. In other words, CE Measure is published by a MECC. 3. The editor is “Robert F. Orsetti, MA, FACME, CCMEP.” No affiliation is listed, and the many initials after his name imply the respectability of academia. However, an internet search reveals that he is the Executive Vice President of a company called “Educational Measures,” whose life-blood is industry-sponsored CME. --Sandy Bihlmeyer, MEd, CCMEP, Director of CME for Primary Care Network, a MECC producing dozens of industry-funded programs yearly. --Curtis P. Schreiber, MD, Vice President of Medical Programs for the same company, Primary Care Network. --Sally Farrand, clinical editor (that is, she ghost-writes articles “authored” by physicians) for Pri-med, another prominent MECC. The sad thing is that some of the members of the journal’s editorial board are people I know and respect. They were asked to put their names on a new publication, but they didn’t realize what they were getting into. I hope they will resign before their reputations get dragged down to the level of CE Measure. When Judith Warner, a major columnist for the New York Times, writes a piece focusing on American psychiatrists, and entitles it "Diagnosis: Greed," you know the profession is in serious trouble. Bringing a fresh perspective to an issue that readers of this blog may be seeing as a dead horse, Warner points out that the astonishing revelations of psychiatrists earning millions from drug companies is part and parcel of the broader financial ruination that we are witnessing daily. Just as lack of government regulation and oversight allowed our economy to collapse because of the rise of subprime mortgage-backed securities, the lack of regulation of the physician/pharmaceutical relationship has led to a medical culture of greed and the collapse of confidence in our profession. Nemeroff didn’t bring down any banks, didn’t freeze the American credit markets, hasn’t plunged the world economy into recession. But his extensive, excessive and untransparent ties to the pharmaceutical industry are all too common, unfortunately, among his cohort of “thought leaders” in psychiatry and other medical specialties. And these relationships have led to a dangerous crisis of confidence in the basic integrity and validity of America’s medical research. The APA and other medical organizations are beginning the process of reforming themselves. I think we need to speed things up. There isn't a moment to lose. It just came to my attention that a comment was posted on my blog alleging that Dr. Alan Schatzberg somehow pressured the DSM-V committee to broaden the definition of psychotic depression. I have deleted this comment, as it is false, according to sources at the APA. How About a Simple "Sorry"? Today is the Jewish holiday of Yom Kippur, the day of atonement, a day for looking back over the past year and doing some serious self-examination. It is a day of apology. As I look back over this past year, which has been awash in instances of deception and greed in medicine, banking, and insurance, I am struck by the lack of apologies. We all make mistakes. The process of forgiveness begins with an honest self-assessment. Teams of lawyers are advising these individuals and institutions that they cannot admit any wongdoing at any time, even as they are surrounded by dense clouds of guilt. A simple “sorry” would go a long way. As more information surfaces about Dr. Charles Nemeroff, the picture becomes more complicated and more sordid. Below is a table of Dr. Nemeroff's income from GlaxoSmithKline (GSK) vs. his disclosures, from the Grassley letter. From 2000 to 2006, GSK paid Nemeroff a total of $960,488. Note that this was not research grant money, or money for Emory's psychiatry department. These were fees that went into his personal bank account, which he earned by either sitting on GSK's Advisory Board, or speaking to doctors about GSK products. His typical fee for a talk was $3500 plus expenses, but sometimes he made more. Of this $960,488, the total amount he disclosed to Emory was $34,998. By 2004, Emory officials knew that Nemeroff was hiding financial information from the university, and its conflict of interest committee investigated. On June 24, 2004, the committee issued this confidential report, which was obtained and posted by the New York Times. The committee found that Nemeroff committed "serious" violations of Emory's conflict of interest policies regarding his financial relationships with Eli Lilly, Janssen, Merck, and Cypress Pharmaceuticals. They created a series of conflict of interest management plans for each of these relationships. It is not known whether he followed these plans, because the Senate inquiry has focused on his relationships with GSK. If your head is beginning to spin, it is understandable. Nemeroff's financial entanglements were (and are) extensive, complex, and of a scale possibly unprecedented in psychiatry. Luckily, Senator Grassley's office prepared a timeline of deception which I have pasted in miniature below, but which you can read in full scale on the last page of Grassley's letter to Emory. As Emory's investigation proceeds, I assume we will find out more. Meanwhile, Nemeroff has temporarily resigned as chairman pending the results of the inquiry. My prediction is that we will be hearing about differing definitions of "consulting," along the lines of Clinton's infamous "it depends on what the word is is." For Charles Nemeroff, it was never a question of whether it would all come crashing down, but when it would happen. In simultaneously published news accounts, both David Armstrong of the Wall Street Journal and Gardiner Harris of the New York Times have detailed the extent of Dr. Nemeroff's cynical pattern of subterfuge regarding his involvement with the pharmaceutical industry. In a prior post on this blog, I had referred to Dr. Nemeroff as "Charles Bling Bling Nemeroff," and later apologized for having gratuitously insulted him. I formally rescind that apology. Why am I getting so exercised about this? Read the articles and you'll understand. But here's a sneak preview. In one telling example, Dr. Nemeroff signed a letter dated July 15, 2004, promising Emory administrators that he would earn less than $10,000 a year from GlaxoSmithKline to comply with federal rules. But on that day, he was at the Four Seasons Resort in Jackson Hole, Wyo., earning $3,000 of what would become $170,000 in income that year from the British drug giant — 17 times the figure he had agreed on. In an Aug. 4, 2004 letter to a university dean, Dr. Nemeroff said he had "taken the necessary steps to be in compliance with the recommendations" of the Emory conflicts-of- interest committee, "namely my consulting fees from GSK will be less than $10,000 per year throughout the period of this NIH grant, its renewals and final collections of data. GSK has been informed of this change and certainly understand the reasons for this decision and is supportive of my compliance with the university recommendations." But according to Glaxo records, Dr. Nemeroff exceeded the $10,000 limit that month. The payments included a $3,500 fee for a teleconference with the Louisiana State University Psychiatry Department; talks on Paxil at two restaurants in New York —the Passion Fish Restaurant in Woodbury and Burton and Doyles in Great Neck – that paid a total of $7,000; and a $3,500 payment for another teleconference. In all, according to the Times, Nemeroff "earned more than $2.8 million in consulting arrangements with drug makers between 2000 and 2007, failed to report at least $1.2 million of this income to his university...."
What's the big deal? Nemeroff is the creme de la creme of American psychiatrists. Isn't he entitled to substantial renumeration? Sure. But the problem is, while he was raking in bucket-loads of money from Glaxo, he was also the principal investigator of a 5 year, $3.9 million grant from NIMH to study five Glaxo drugs. NIMH is part of the National Institutes of Health (NIH), which has a strict conflict of interest policy saying, essentially: "We'll award you this big grant from public money to do important medical research. But in return, we and the taxpayers want to be assured that you are using our money ethically. We don't want you to be making any side deals with companies that might have a vested interest in the results of your NIH research. If you do cut any deals, we insist that you make no more than $10,000 per year, and that you fully disclose these arrangements to your university." NIH is funny that way. They're really into honesty and integrity. Dr. Nemeroff broke so many of their rules, so frequently, and so blatantly, that this episode seems more like a fictional allegory to tell your kids at bedtime than the real-life scandal that it is. Emory promises to investigate. Let's hope they do it quickly, and, if the claims are confirmed, that they promptly relieve Dr. Nemeroff of his duties. His continued chairmanship of Emory's Department of Psychiatry constitutes an embarrassment to the university and to the entire profession of psychiatry. In this prior post, I discussed this dodgy literature review recently commissioned by ACCME which concluded that there is "no evidence to support or refute the hypothesis that CME activities are biased." I began by detailing how Cervero and He, the authors of this review, managed to dismiss the results of 29 damning studies by pulling the old "outcome switcheroo." Today, let's look at one of the few empirical studies that has actually measured industry CME bias, and see how Cervero and He tweak it. This study is old (1988) and therefore precedes ACCME's current regulations on commercial support. Nonetheless, it is one of only three studies in the literature to measure the effect of industry CME on prescribing practices, and it was included in the Cervero review. The reference is: Bowman MA and Pearle DL, Changes in drug prescribing patterns related to commercial company funding of continuing medical education, The Journal of Continuing Education in the Health Professions, 1988;8: 13-20. In a nutshell, researchers evaluated the effects of three industry-sponsored courses at Georgetown University. Each course focused on blood pressure medications, two on calcium channel blockers, and one on beta blockers. 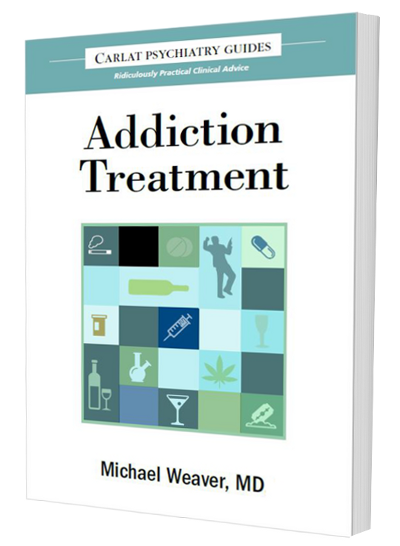 According to the authors, the drugs discussed in the courses were "basically similar, with only modest differences in benefits, side effects and cost, i.e., none of the drugs should have major advantage over the others in terms of cost, safety or efficacy." All physicians taking the courses were asked by the researchers to estimate their use of these drugs over the past month. They were given this questionnaire both before the courses and 6 months afterwards. Researchers were interested in determining whether physicians increased their use of the drug manufactured by the sponsoring company. Here are the results for the three courses. First, we'll start with the course on calcium channel blockers sponsored by the makers of Procardia (generic name nifedipine). As you can see in the table below, Procardia was already the most popular drug among these doctors, accounting for 47.9% of all new prescriptions of calcium channel blockers during the month before the course. Six months after the course, Procardia's market standing improved to 53.5% of prescriptions. Cardizem (diltiazem), at the time Procardia's arch rival, also improved its standing a bit, but less than Procardia. Calan (verapamil) lost out. In this case, Pfizer (maker of Procardia) profited from the course, though not dramatically. This course was taught in the late 1980s, when Procardia’s patent expiration was just over the horizon (this happened in 1991). Cardizem was aggressively nipping at Procardia's heels with its own array of CME offerings. With this program, Pfizer's goal was to fend off Cardizem and to maintain their market leading status, and they were successful. Next up, we have another course on calcium channel blockers, but this one was sponsored by Cardizem. As you can see below, when the manufacturer of Cardizem paid for CME, the education had a remarkably different effect on prescribing habits than when Procardia sponsored the same topic. Six months after the course, prescriptions for Cardizem shot up, from 31.4% of the total to 50.1%. Meanwhile, Pfizer's Procardia dipped down to only 29.3%. Clearly, speakers were chosen on the basis of their enthusiasm for Cardizem, and they were able to communicate this to the physicians quite effectively. Now, I would say that this study, as old and methodologically limited as it is, constitutes real evidence that industry sponsorship biases CME in favor of the sponsor's product. But Cervero and He--the artful tweakers--portray things differently. In their sketchy description of the Bowman and Searle results, they selectively mention the least impressive findings. For example, in the beta blocker study, their lukewarm summary is that "the sponsor’s drug increased although the number of physicians prescribing the drug for new prescriptions was not statistically significant." But as it turns out, most other differences were statistically significant. "First, the speakers may have favored the company drug in their discussion. The university’s guidelines were designed to prevent this, but do not guarantee success, as evidenced in another study which compared actual content of Courses I and III of this study (5). The sponsoring company’s drug was more frequently mentioned than its competitor’s products for Course I; for both courses the reported clinical effects of drugs made by the sponsoring company noted tended to be positive rather than negative." Are Cervero and He implying that biased course content was allowed in 1988, but is no longer allowed in 2008? Actually, rules prohibiting bias have not changed in 20 years. Lack of bias is the essence of accredited CME. "Second, the participants may have had contact with drug sales representatives at the course who gave them information." Okay, fair enough. Drug reps are no longer allowed to have contact with doctors at CME events. "Third, the sales representatives may have contacted course participants after the course was over." This is definitely permitted now, and in fact it is precisely how companies leverage the marketing benefits of CME. The medical education companies say that they need participants' contact information to properly evaluate the quality of its courses. But you and I know the real reason they get this information--to pass it on to the sponsoring drug company, which then transmits it to their reps. The reps find out which CME activity you've taken, and can then tailor their pitch to coincide with the promotional--I mean, educational--points of the program. In marketing, this is called "synergy." "Fourth, the provision of money by the company may have been part of a larger campaign for the drug. The physicians may have been subjected to other sources of information, such as drug advertising, on the same drug." What? Are they saying that in 1988, drug companies were actually allowed to coordinate their CME programs with their overall promotional message? Surely, that is not permitted now. "Fifth, the participants may have been generally impressed with the course, and, knowing it was partially underwritten by the company, have been favorably disposed to the company, and, as a result, to the company’s drug." This remains one of the key marketing strategies underlying CME. The bottom line: This study provides empirical evidence that industry-funded CME encourages doctors to prescribe the sponsor's drug, even when it has no compelling advantages over competing products. Why Cervero and He did not incorporate this information into their conclusion is one of life's many mysteries.